Your day-by-day itinerary now includes Kuranda Scenic Railway, Cairns Aquarium, Rusty's Market, and other attractions you added. There's still lots to do: take in nature's colorful creations at Botanical Gardens. To find where to stay, ratings, maps, and other tourist information, use the Cairns trip planner . London, UK to Cairns is an approximately 23.5-hour flight. Traveling from London to Cairns, you'll lose 10 hours due to the time zone difference. Prepare for much hotter weather when traveling from London in December: high temperatures in Cairns hover around 36°C and lows are around 26°C. Finish your sightseeing early on the 24th (Tue) so you can travel to Townsville. Your day-by-day itinerary now includes The Strand as well as Castle Hill. To see other places to visit, photos, and tourist information, you can read our Townsville itinerary planner . Traveling by flight from Cairns to Townsville takes 3.5 hours. Alternatively, you can drive; or take a bus. Expect a daytime high around 37°C in December, and nighttime lows around 28°C. Finish your sightseeing early on the 26th (Thu) so you can take a bus to Airlie Beach. Your day-by-day itinerary now includes Whitsunday Great Walk as well as Whitsundays Sailing Adventures. Kick off your visit on the 26th (Thu): trek along Whitsunday Great Walk. Get ready for a full day of sightseeing on the 27th (Fri): discover the deep blue sea with Whitsundays Sailing Adventures. For reviews, traveler tips, and tourist information, you can read our Airlie Beach visit planner. You can take a bus from Townsville to Airlie Beach in 4 hours. Alternatively, you can drive; or do a combination of train and bus. December in Airlie Beach sees daily highs of 34°C and lows of 28°C at night. Finish your sightseeing early on the 28th (Sat) so you can travel to Agnes Water. For more things to do, photos, where to stay, and more tourist information, go to the Agnes Water trip planner . You can drive from Airlie Beach to Agnes Water in 8 hours. Alternatively, you can fly. December in Agnes Water sees daily highs of 36°C and lows of 25°C at night. Cap off your sightseeing on the 29th (Sun) early enough to travel to Rainbow Beach. Rainbow Beach is a coastal town in the Wide Bay–Burnett region of Queensland, Australia, east of Gympie. You've now added Searys Creek to your itinerary. On the 29th (Sun), explore the striking landscape at Carlo Sand Blow, contemplate the waterfront views at Poona Lake, and then explore the activities along Searys Creek. To find maps, more things to do, reviews, and more tourist information, use the Rainbow Beach day trip planner . Drive from Agnes Water to Rainbow Beach in 4 hours. 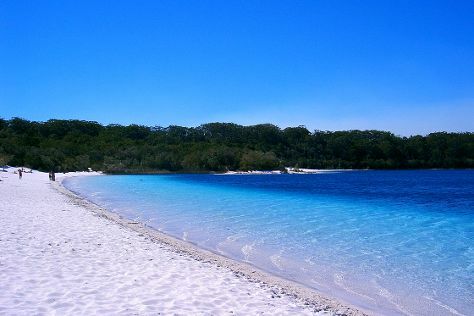 Finish your sightseeing early on the 30th (Mon) to allow enough time to travel to Fraser Island. Your day-by-day itinerary now includes The Pinnacles, Wanggoolba Creek and Fraser Explorer Tours. On the 30th (Mon), take a memorable excursion with Fraser Explorer Tours, delve into the lush surroundings at Central Station Rainforest, contemplate the waterfront views at Wanggoolba Creek, explore the activities along Lake McKenzie, then kick back and relax at Seventy-Five Mile Beach, and finally contemplate the waterfront views at Eli Creek. To find maps, traveler tips, more things to do, and more tourist information, you can read our Fraser Island online driving holiday planner . Use the Route module to find suitable travel options from Rainbow Beach to Fraser Island. In December, daily temperatures in Fraser Island can reach 34°C, while at night they dip to 23°C. Wrap up your sightseeing on the 30th (Mon) to allow time to travel to Rainbow Beach. To find more things to do, photos, traveler tips, and tourist information, use the Rainbow Beach road trip planning site . Use the Route module to find suitable travel options from Fraser Island to Rainbow Beach. You will leave for Beerwah on the 31st (Tue). Beerwah is a rural town and a locality in the hinterland of the Sunshine Coast Region, Queensland, Australia. 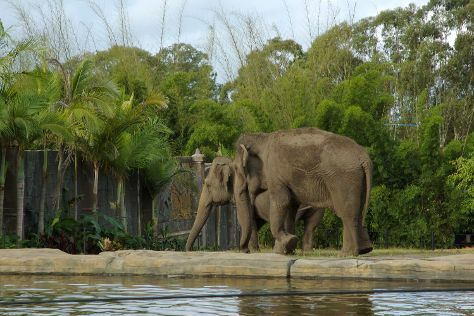 Kick off your visit on the 31st (Tue): get to know the resident critters at Australia Zoo. For traveler tips, other places to visit, ratings, and tourist information, refer to the Beerwah day trip planner . Traveling by car from Rainbow Beach to Beerwah takes 2 hours. In December, daytime highs in Beerwah are 32°C, while nighttime lows are 23°C. Wrap up your sightseeing on the 31st (Tue) to allow time to drive to Brisbane. Your day-by-day itinerary now includes South Bank Parklands as well as Brisbane Botanic Gardens Mt. Coot-tha. Get ready for a full day of sightseeing on the 1st (Wed): explore and take pictures at Brisbane Botanic Gardens Mt. Coot-tha. To see maps, where to stay, and other tourist information, read Brisbane online holiday planner . Drive from Beerwah to Brisbane in an hour. Alternatively, you can take a train; or take a bus. In December in Brisbane, expect temperatures between 32°C during the day and 23°C at night. Finish your sightseeing early on the 3rd (Fri) so you can drive to Gold Coast. Your day-by-day itinerary now includes Surfer's Paradise Beach, Warner Bros. Movie World and SkyPoint Observation Deck. On the 3rd (Fri), get in on the family fun at Sea World Theme Park and then take in panoramic vistas at SkyPoint Observation Deck. 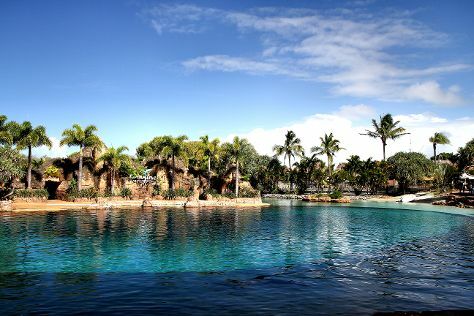 Keep things going the next day: find something for the whole family at Warner Bros. Movie World and then tour the pleasant surroundings at Surfer's Paradise Beach. To see photos, maps, traveler tips, and other tourist information, use the Gold Coast vacation planner. You can drive from Brisbane to Gold Coast in an hour. Other options are to take a bus; or take a train. In January in Gold Coast, expect temperatures between 33°C during the day and 24°C at night. Finish your sightseeing early on the 4th (Sat) so you can take a bus to Byron Bay. Your list of things to see and do now includes Tallow Beach, Belongil Beach, Wategos Beach, and other attractions. Kick off your visit on the 5th (Sun): trek along Cape Byron Walking Track, then add some adventure to your tour with a kayaking and canoeing tour, and then tour the pleasant surroundings at Wategos Beach. Here are some ideas for day two: see Soul Surf School, then enjoy the sand and surf at Belongil Beach, and then tour the pleasant surroundings at Tallow Beach. To see ratings, more things to do, and tourist information, go to the Byron Bay day trip planning website . Take a bus from Gold Coast to Byron Bay in an hour. Alternatively, you can drive. In January, plan for daily highs up to 34°C, and evening lows to 21°C. Wrap up your sightseeing on the 7th (Tue) early enough to travel to Newcastle. For photos, reviews, other places to visit, and other tourist information, refer to the Newcastle day trip tool . You can do a combination of bus and flight from Byron Bay to Newcastle in 5 hours. Alternatively, you can do a combination of bus, flight, and train; or drive. In January, daytime highs in Newcastle are 34°C, while nighttime lows are 21°C. You'll set off for Sydney on the 8th (Wed). You've added Bondi to Coogee Beach Coastal Walk, The Rocks, The Royal Botanic Garden, and other attractions to your itinerary. 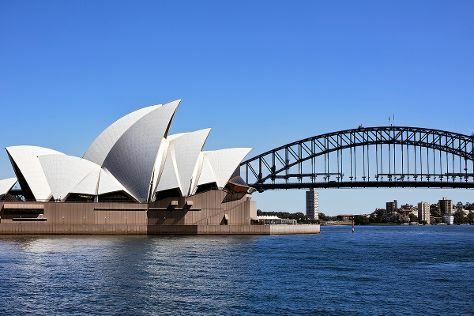 Kick off your visit on the 8th (Wed): make a trip to Sydney Harbour Bridge, see a show at Sydney Opera House, then take in nature's colorful creations at The Royal Botanic Garden, and finally appreciate the extensive heritage of The Rocks. Get ready for a full day of sightseeing on the next day: stroll through Bondi to Coogee Beach Coastal Walk and then tour the pleasant surroundings at Bondi Beach. To see maps, more things to do, other places to visit, and tourist information, you can read our Sydney trip planner . Getting from Newcastle to Sydney by car takes about 2 hours. Other options: take a train; or take a bus. January in Sydney sees daily highs of 32°C and lows of 23°C at night. Wrap up your sightseeing on the 9th (Thu) to allow time to travel back home.